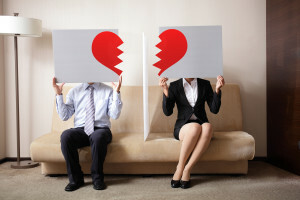 Ehrenzweig Law has handled more successful divorces then anyone can count. If their are and children involved the Courts want what is in the “best interests” of the children. There are no sexual preferences, this means that the court does not favor the husband or the wife. The court wants what is in the best best for the child(ren). There are several statutory factors which the Court looks at, the most important factor is stability. Who have the children resided with for the majority of the time? Cops often work odd hours. If a cop works steady mid-nights and the spouse works days, it is the Cop to whom the children spend most of their waking hours with. This does not make the spouse working days a poor or unfit parent. But most times at the end, the child(ren) must reside with one parent or the other based on stability and home life history. Sole custody: The parent who has the children makes the decision for them and is “in charge.” That does not mean the other parent does not get visitation or access time with the children. Just the custodial parent and full and complete custody. As a caveat regardless of the parent having sole custody, should that parent pass away, custody by law, vests with he non-custodial parent. Joint legal custody: both parents have the exact and equal rights to the child(ren). Both parents are entitled to all school and medical records. As well as information as to all activities of the children. With joint legal custody, the children must live with one parent or the other notwithstanding that both parents have full and equal rights to the child(ren). A parental access schedule is put in place for the parent with whom the child(ren) do or does not reside. This is a comprehensive plan which includes holidays, birthdays, and any other date(s) important to the particular family. Note however the parent with whom the child(ren) do not reside is responsible for child support (see below). Shared legal custody: In rare cases the Courts allow shared custody. 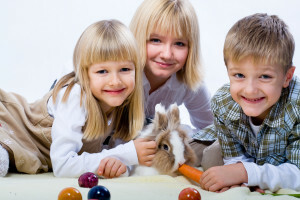 Herein the child(ren) are considered to be living with both parents. This is accomplished when the divorcing couple truly get along and communicate, with no animosity of one toward the other. Additionally, they live close enough that the child(ren) can reside at either party’s home and both live in the same school district. This is a very rare arrangement. When it works however it is best for both parents and child(ren). In such cases child support is usually not awarded. Child Support: The Child Support laws are draconian. The child support laws are based upon the number of children, then a percentage of the parent’s gross income is used to calculate support. 17% for one child, 25% for two children and the percentages become higher if the couple has more children. The child support is calculated by taking the payor’s gross yearly salary, deducting only (taxes are not deducted) Social Security, Medicare, and if the payor lives in NYC the city tax. Whatever is left over is the figure calculated for child support. For example, were a cop (or anyone) to make $100,000.00. We all know that he/she really brings home about $75,000.00 after taxes. The law however does not allow for that type of calculation. The law takes the $100,000.00, subtracts Social Security (approximately $6,200.00 and medicare approximately $1,450.00 leaving an adjusted gross income [for child support purposes] of approximately $92,350.00. If there were one child the support would be 17% thereof or approximately $15,699.00. That divided by 26 the weekly pay of cops is approximately $604.00 per check. For one child! The amount grows significantly higher with more children. The Court will also look to see if your spouse is entitled to maintenance payments. Thus, if you are a working cop and have a spouse who does not work, that spouse will receive between maintenance and child support, over 50% of your take home check. There are many factors relating to maintenance. Please call if you have any questions regarding maintenance or any other issue relating to divorce. Equitable distribution: As unfair as child support and maintenance may be, the law on Equitable Distribution can completely destroy a cop’s hope for a better life. We all worked hard for 20 years to obtain our pension, variable supplement, and perhaps a deferred compensation plan. This was to provide for our families and our future when we retired. Sadly the Courts and legislature have ruled that notwithstanding cops risk their lives every day, their very jobs at almost every decision they are required to make. It has been decided that all of a cop’s retirement benefits must be divided with their spouse REGARDLESS OF WHAT THE SPOUSE DID OR NOT DO TO HELP THE FAMILY. For example if a cop is married to his spouse for the entire 20 years of his service, the spouse would be entitled to ONE-HALF of the cop’s pension, variable supplement, and deferred compensation. That the cop has been saving and sweating for 20 years does not matter. This does not even bring into account of the items purchased by the parties and who paid for what. The Court decides distribution of the marital items. There is a formula which the courts are mandated to follow in dividing up an officer’s pension regardless of the time married, or the time on the job. It is called the Majauskas formula. It is computed by the time on the Job with the time of the marriage. Unless the parties opt out, this is the way your pension will be divided. Thus, you can lose ONE-HALF of your Pension, Deferred Compensation, Union Annuity, and Deferred Compensation. After you have done all the work, spend the sleepless nights, risked your life, worried about the ridiculous and conflicting order from down town, and ever changing rules and regulations of the Patrol Guide. Although not always successful a good attorney can convince the other side that a deal might be made to allow the cop to keep his/her entire pension. Naturally the cop gives up certain claims to marital property. Child support is by statute, no matter what any person states, the Courts must follow the statute (exceptions can however be made under certain circumstances, and parties can “opt out” of the child support statute as well). When it comes to pensions, and the rest of our retirements benefits there are bargains which can be made. For the sake of past, current and future clients I may not reveal such strategies on a public forum. Needless to say, a person needs a former cop to represent him or her in a divorce, given all that is at stake, experience counts. Ehrenzweig Law can and has successfully negotiated settlements a cop needs to protect his assets. 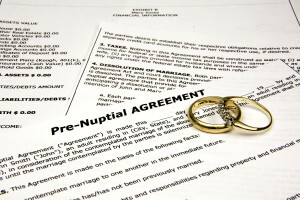 Prenuptial Agreement (“Prenup”). A Prenup is always a good idea to protect your pension and other retirement assets. This however is a personal decision to be made by the cop and his/her prospective spouse. It is admittedly difficult to ask a prospective spouse, whom you are planning to spend the rest of your life with, that you want him or her to sign a document “in case you divorce.” There are again strategies which may be used. They however are not for a public forum. A Prenup however is your best protection, if done correctly and the marriage does not work out, you will not lose all you have worked for.